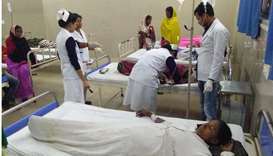 At least 150 people have died from drinking toxic bootleg liquor in a northeastern state of India, the second such tragedy in the country this month, with many more hospitalised as authorities try to pinpoint the source and round up perpetrators. 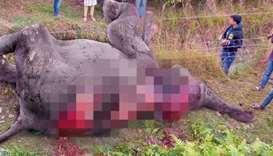 At least 84 people have died from drinking toxic bootleg liquor in the northeastern Indian state of Assam, and around 200 others have been hospitalised, a government minister said on Saturday. Thousands in northeastern India protested Monday against a proposal to grant citizenship to religious minorities in the region, except Muslims, with critics attacking the bill as prejudiced and a sop to Hindus before elections. 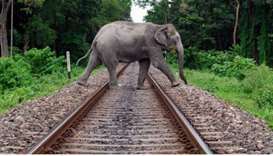 A passenger train collided with a herd of elephants crossing the tracks in India's northeast, an official said Sunday, killing four of the endangered animals in the high-speed accident. 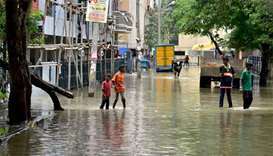 More than 150 people have died and 10mn affected in recent floods and landslides across India as the country's IT capital Bengaluru was the latest to grapple with the torrential monsoon rains. 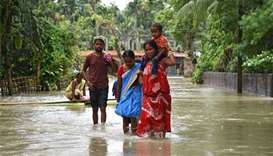 Dozens of people have died and an estimated 5mn affected as a fresh wave of floods and landslides triggered by monsoon rains ravaged northern and eastern India. 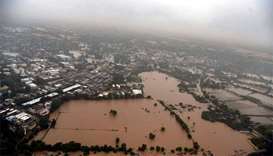 Floods and relentless rain in India's western state of Gujarat have killed at least 75 people and displaced over 25,000 over the past three weeks, officials said on Wednesday. 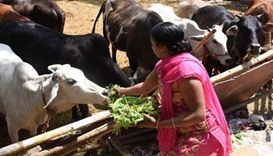 Two Muslim men have died after they were attacked by Indian villagers who suspected them of stealing cows, police said on Monday, the latest such attack over the animal Hindus consider sacred. 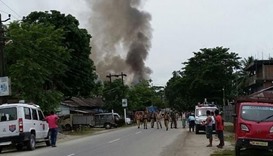 Gunmen on Friday opened fire on a busy market in a restive area of northeast India, killing 12 people and wounding several others, police said. 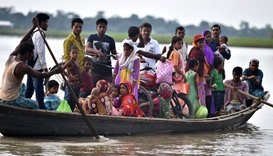 More than 1.2 million people in northeast India have been hit by floods which have submerged hundreds of villages, inundated large swathes of farmland and damaged roads, bridges and telecommunications services, local authorities said on Tuesday.